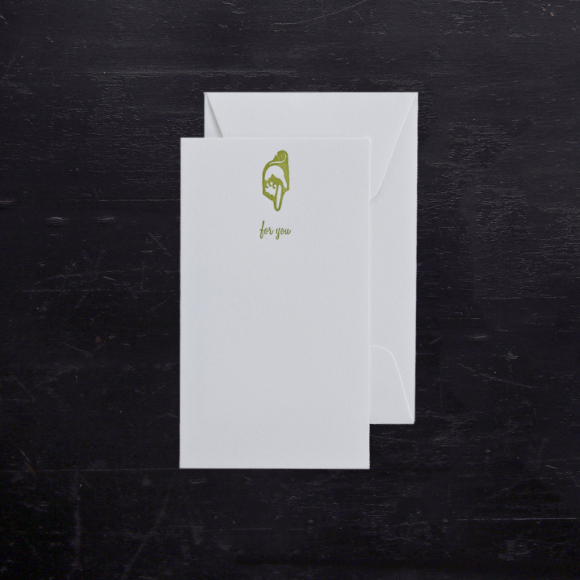 We know who this gift is for – “for you.” Set of 12 Gift Enclosures each individually letterpress printed in chartreuse ink with an early letterpress pointer hand and the words “for you.” A smart personal signature for gifts. 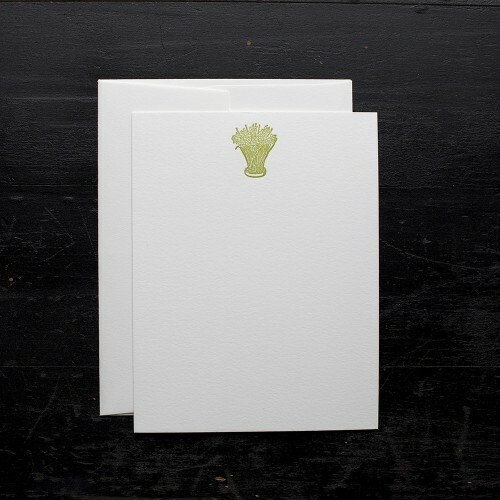 Pearl white card stock measures 2″ X 3 1/2″ with just enough room to jot a few words. 12 little matching white envelopes. This set arrives neatly packaged in a crystal clear, sealed bag. A part of The Edgefield Collection: featuring original letterpress engravings, type and plates once used in our family newspaper during the late 1800’s- early 1900’s. We only use the finest papers available for our letterpress goods. All are eco-friendly and take to your ink pen beautifully. Please allow up to 3 business days to process and ship your order.